It’s been an exciting season of Counter-Strike thus far for us here at CSL. We’ve seen some teams show incredible skill and promise, and we’ve seen other teams fall short of what we know they are truly capable of. No team has not struggled and none have not worked hard or driven themselves towards achieving greatness and proving their skill in this competition. We all know this, yet we never get to see or hear about what happens behind the scenes of these university rosters. In this article, I want to introduce to you a group of wild cats that have stood out this season. I have chosen this team because I believe, like they themselves do, that they deserve the recognition and respect of fans and competitors alike. I want you to fall in love with this team, as I have, not just because they are skilled and disciplined as a unit, but also because they are a bunch of fun-loving friends striving to become the best together. From left to right: Ryan "Vetreon" Carney, Talen "Talen" Mackinnon, Jake "beefoak" Floss, Tyler "Starch" Scheon, Connor "Floofi" Thorsen. Hanging out in the middle: Anthony "Kairii" Huff. I was fortunate to get a chance to speak to the captain of the RIT CS:GO team, ‘Talen’, in a 1 on 1 Discord call. He introduced and really got me into what his team was like and what they stood for. Starting off, we have Ryan ‘Vetreon’ Carney on the far left. Ryan is often referred to as a “premier gamer” by his captain and his teammates. He is one of the quieter ones on the squad, but when he talks he is known to be very humorous. I’m told when our region report came out and he was listed first on that efficacy chart, he was very humble about it. To Ryan’s right is redhead captain Talen ‘Talen’ Mackinnon, also one of the in-game leaders (IGLer). Him and Tyler ‘Starch’ Schoen take turns calling the shots when it comes to a live match, depending on the approach the team wants to take. Talen believes that to excel in Counter-Strike you must have a healthy body as well as a healthy mind, and he tries to bring that mindset to the team. His gym partner is Jake ‘Beefoak’ Floss. Speaking of ‘Beefoak’, you see him next in the picture, in the middle. This man is a meme machine, as you can tell by his extraordinary beanie. He memes day and night, so much so that he was asked to tone it back and get a bit more serious. When he is underperforming he likes to sing “Wake Me Up Inside” by Evanescence. A big fan of “Letterkenny”, the Canadian sitcom, alongside ‘Talen’. To the right of Jake is the other IGLer for these big cats, Tyler ‘Starch’ Schoen. Him and ‘Talen’ take turns calling for the squad during matches. is the oldest of the bunch. Tyler keeps the team in check, makes sure people are clear of ego and helps the team progress. Described as the “voice of reason” by ‘Talen’. Frequently hunts for food in the middle of the night. On the far right, Connor ‘Floofi’ Thorsen is caught chilling. Connor has played on ESEA Main and Premier teams and brings lots of experience to the table in that regard. Another quiet one, but he is not to be trifled with or underestimated. Last but not least, we see Anthony ‘Kairii’ Huff, literally hanging out. Huff has played with pro player ‘nahtE’ of Counter Logic Gaming in a season of ESEA Open. Sometimes, the team teases him for that one game he only had an ADR of 44 on Mirage, despite the team winning 16-1. Yeah, he didn’t see many enemies that game. RIT are currently 7-0 in their match record (with one forfeit game). They have beaten most teams in their region by large round differences and have succeeded in overcoming their biggest competition in East 3; Baruch College or ‘fiven’ (6-1) and University of Maryland (5-2). The refreshing thing about Rochester is that while the frags alone might say otherwise, during each game the whole team is chiming in, working together to secure rounds. They seem to do this well on all maps, clearly. Even in those tough games against Baruch and Maryland when it looked like RIT might drown in the pressure, their opponents were reminded that Tigers can in fact swim. So how did Rochester manage to stay on top all this time? And how did they discipline themselves into playing together, with the highest synergy possible? It was clear to me, when I asked ‘Talen’ about this, that RIT took practices and preparation very seriously. Their practices normally occurred 8pm-midnight every night, an amazing amount of commitment for college students with obligations like academics. What happens when a person can’t make it? “If someone is super busy with school or something else we respect that person’s obligations” explained Talen. “Me and ‘Starch’ tell the team to play pickup games to stay familiar to the game”. The approach they take to practice is a fairly simple yet effective one; during their first ever scrim on a specific map or against a specific team, they play out the match and see how it goes. ‘Starch’ and ‘Talen’ look at things like grenade usage, strats, teamwork and positioning and they try to adjust the things that don’t work and keep the things that do. To the calm and collective captain, it is a “trial and error process”. “We aren’t afraid of losing in scrims” he said firmly. “We know that it is part of the learning process. In fact we focus more on the games we lost when it comes to demo reviews”. The two IGLers watch the games where they felt like the opponent had “outplayed” them “mentally”. In this way, it becomes easier to fix their weaknesses but also exploit the weaknesses of their scrim partners. ‘Talen’ has repeatedly emphasized the importance of teamplay and synergy among the Tigers of Rochester. Their T-side relies heavily on moving as one unit and setting each other up for entries and site takeover. CT-Side also involves a lot of coordination but with a little less “calling” and a little more fragging. “Our mentality [on CT-side] is that somebody has to get two kills and the only way to have them do that is to set them up so when ‘Kairii’ or ‘Beef’ (‘Beefoak’) want to make an aggressive play somewhere to grab those kills we support them”. While it might seem like the Tigers are super-tryhard, they actually have a lot of fun playing official matches and scrimming opponents. They believe in hard-work and dedication, yet if you were to have a listen to their comms you would think they were, in ‘Talen’s words, “a bunch of goofballs”. They make jokes all the time, they make fun of each other as well all in the good-natured spirit of Counter-Strike. “We rip on each other all the time for fun, but we also try not to cross lines” Talen chuckled. “...that’s happened a bunch so far but we always acknowledge it and never cross that line again”. "We aren't just kids sitting in our rooms playing video games; we are working towards achieving hopes and dreams. We won’t accept second place this season." Mentality is a huge deal in a match of CS:GO, as my interviewee described to me, and Rochester treat every official game “like they were the underdogs of the matchup”. When the team was under a lot of pressure or just not feeling it, it was up to the leaders of RIT to pick the team up and restore confidence. “I just try to pep talk them. I say: Hey, guys, we are better than this. We can win this if we play together”. One such scenario occurred during the University of Maryland (5-2) battle on Cobblestone. “We were all pissed after the first half… I had to remind everyone that we can win if we play together and set each other up for success”. 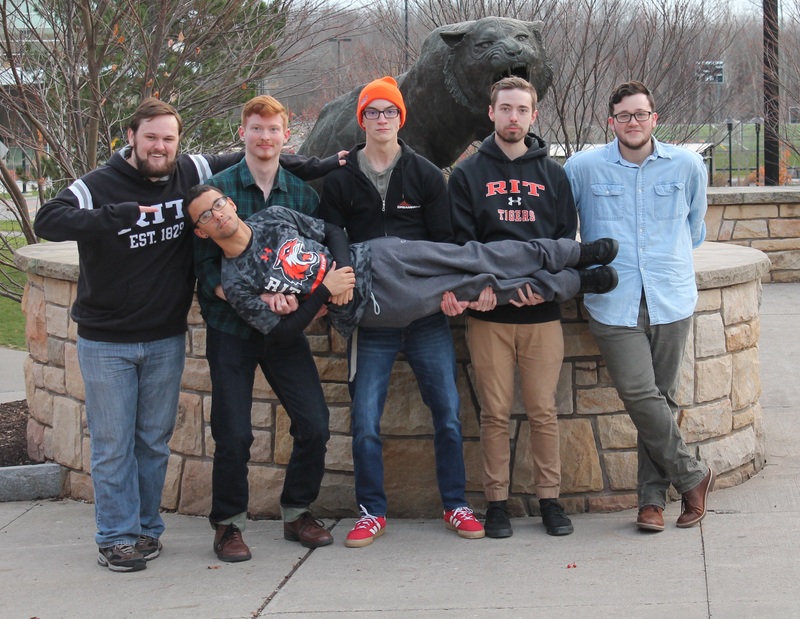 Through resetting their mindset during times of frustration, RIT managed to defeat UMD and keep their perfect match streak going. RIT are a band of brothers more than anything. They are group of friends that continually meet each other on campus, hang out, make jokes and chill. When they aren’t training or headshotting noobs in ESEA pugs, they are watching E-League together at ‘Buffalo Wild Wings’ or they are seeking comfort food late at night after a gym session. “We go get food with each other, and we make jokes. This has helped us bond both in and out of the game. I feel like a lot of teams with larger rosters [like] 12 players miss out on something like that”. ‘Talen’ and his CS comrades won’t accept second place this season. Not only that, they strive to accomplish something even greater: the “legitimization” of CS:GO on the RIT campus. They want their classmates to recognise their hard work and their efforts. They want to be cheered on and encouraged to go far but they also want to show everyone that CS:GO, and eSports as a whole, is a legit thing. “We want to work towards the same recognition level of sports like rugby or hockey, we want people to support us like those other [Rochester] teams” ‘Talen’ exclaimed. “We put in hours and grind just like any other athlete on campus, we eat and sleep in a healthy manner and we show up to practice consistently”. RIT have maintained a 7-0 record. The team has grinded hours into perfecting their level of teamwork and skill within the game, but the players are also driven towards shining not just as gamers but also as “electronic athletes”. Each one believes in working hard to make their dreams of becoming pro a possibility, and it doesn’t look like any of them are about to back down from that. This is something ‘Talen’, and now I, believe is the future of eSports. 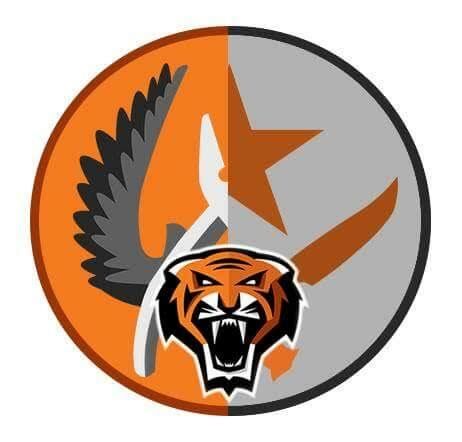 One day, college teams like RIT’s Tigers will be recognised not just as “kids sitting in their rooms playing video games”, but as professionals working towards achieving hopes and dreams.